"You both have such strong personalities." VIFF 2017—Lady Bird is just simply an absolute delight. Actress/writer Greta Gerwig turns to her own personal experiences growing up in early 2000s Sacramento for her solo-directorial debut—she previously co-directed 2008's Nights and Weekends with Joe Swanberg. Irish actress Saoirse Ronan sports her best Californian accent to play Gerwig's surrogate in this terrific coming-of-age high school comedy—think of it as a sort of prequel to the excellent Frances Ha, co-written by Gerwig, if you all. Ronan perfectly captures the ambivalence of a small town girl with big city dreams and minimal resources. 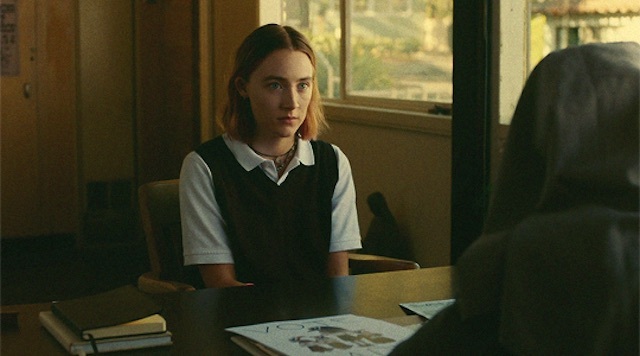 It's an entirely winning performance that gets across the entirety of her character, Christine "Lady Bird" McPherson. Her relationship with her mother, played defiantly by Laurie Metcalf, superbly outlines both characters' strong wills and personalities superbly. Their all-out arguments and moments of exasperated love are such an authentic and genuine feeling depiction of mother/daughter relationships amidst the chaos of teenage life. Set in 2002 during her senior year of all-girl Catholic high school, the film plays like a greatest hits of moments before going off to college to discover one's self. Christine joins theatre, falls in love, falls out of love, crushes on a bad boy, applies to college, tries to be popular, goes to prom, and wraps up her small town life in a moving and hilarious on-screen journey. Actors turned filmmakers often have an obvious gift for casting and working with other actors. Gerwig's supporting cast is predictably deep and splendid. Tracy Letts as the father is just the right comical complement to Ronan and Metcalf's loud personalities as a sweet but somewhat depressed dad struggling to provide but offering enough emotional support to make up for it. Beanie Feldstein plays Christine's bestie in a nice friend arc where Christine shifts to being a cool kid temporarily abandoning her own identity to fit in. A happy-go-lucky Lucas Hedges offers some really endearing work as as Christine's seemingly perfect first boyfriend while encapsulating the experience of being a theatre kid rather hilariously. Timothée Chalamet oozes smarmy cool as Christine's second boyfriend, a stereotypical disaffected rich kid. It's a winning combination of actors and their material. 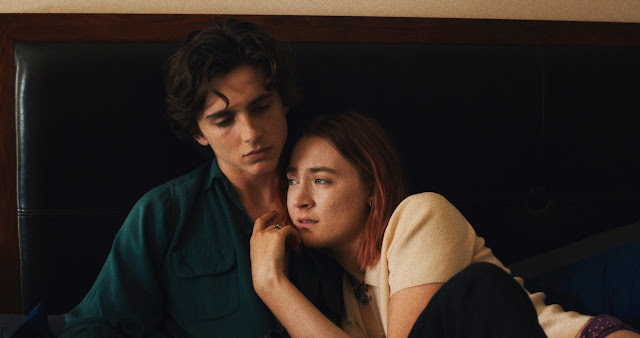 Gerwig and Ronan make Lady Bird such an affecting and truly funny teenage capsule of the recent past. It cements Gerwig's force as a filmmaker of substance with a distinct comic voice beyond her collaborations with partner Noah Baumbach. Her writing, timing, and pacing skills piece all of the film's elements together sublimely anchored by some wonderful performances. Lady Bird screened at the 2017 Vancouver International Film Festival as part of the Panorama stream.